Archibald Campbell, 3rd Duke of Argyll, 1st Earl of Ilay (June 1682 – 15 April 1761) was a Scottish nobleman, politician, lawyer, businessman, and soldier. He was known as Lord Archibald Campbell from 1703 to 1706, and as the Earl of Ilay from 1706 until 1743, when he succeeded to the dukedom. He was the dominant political leader in Scotland in his day, and was involved in many civic projects. Born at Ham House, Petersham, Surrey, he was the second son of Archibald Campbell, 10th Earl and 1st Duke of Argyll (1658–1703) and his wife Elizabeth, eldest daughter of Sir Lionel Talmash of Helmingham, Suffolk. He was the first cousin once removed of Lord William Campbell. Petersham is a village in the London Borough of Richmond upon Thames on the east of the bend in the River Thames south of Richmond, which it shares with neighbouring Ham. It provides the foreground of the scenic view from Richmond Hill across Petersham Meadows, with Ham House further along the river. Other nearby places include Twickenham, Isleworth, Teddington, Mortlake and Roehampton. 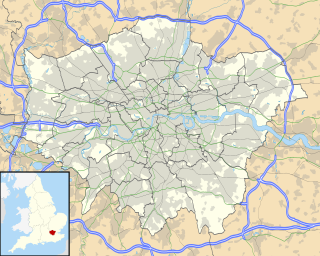 Surrey is a subdivision of the English region of South East England in the United Kingdom. A historic and ceremonial county, Surrey is also one of the home counties. The county borders Kent to the east, East and West Sussex to the south, Hampshire to the west, Berkshire to the northwest, and Greater London to the northeast. He was educated at Eton College and later at the University of Glasgow and then Utrecht University, where he studied civil law. He was appointed Lord High Treasurer of Scotland by Queen Anne in 1705. The University of Glasgow is a public research university in Glasgow, Scotland. Founded by papal bull in 1451, it is the fourth-oldest university in the English-speaking world and one of Scotland's four ancient universities. Along with the universities of Edinburgh, Aberdeen, and St. Andrews, the university was part of the Scottish Enlightenment during the 18th century. He supported his brother, John Campbell, 2nd Duke of Argyll (on many topics, most notably the Act of Union), earning him the title of Earl of Ilay in 1706. Following the treaty of union he was elected as one of the sixteen Scottish peers to sit in the House of Lords. Field Marshal John Campbell, 2nd Duke of Argyll, 1st Duke of Greenwich,, styled Lord Lorne from 1680 to 1703, was a Scottish nobleman and senior commander in the British Army. He served on the continent in the Nine Years' War and fought at the Battle of Kaiserwerth during the War of the Spanish Succession. He went on to serve as a brigade commander during the later battles of the War of the Spanish Succession. Next he was given command of all British forces in Spain at the instigation of the Harley Ministry; after conducting a successful evacuation of the troops from Spain, he became Commander-in-Chief, Scotland. During the Jacobite Rebellion, he led the government army against the Jacobites led by the Earl of Mar at the Battle of Sheriffmuir. He went on to serve as Lord Steward and then Master-General of the Ordnance under the Walpole–Townshend Ministry. His military career, which was less successful than his brother's, was somewhat distinguished. He obtained the Colonelcy of the newly formed 36th Regiment of Foot in 1701 and assisted his brother at the 1715 Battle of Sheriffmuir. Colonel (Col) is a rank of the British Army and Royal Marines, ranking below brigadier, and above lieutenant colonel. British colonels are not usually field commanders; typically they serve as staff officers between field commands at battalion and brigade level. The insignia is two diamond-shaped pips below a crown. The crown has varied in the past with different monarchs; the current Queen's reign has used St Edward's Crown. The rank is equivalent to captain in the Royal Navy and group captain in the Royal Air Force. The Battle of Sheriffmuir was an engagement in 1715 at the height of the Jacobite rising in England and Scotland. The battlefield has been included in the Inventory of Historic Battlefields in Scotland and protected by Historic Scotland under the Scottish Historical Environment Policy of 2009. Sheriffmuir was and is a remote elevated plateau of heathland lying between Stirling and Auchterarder on the north fringe of the Ochil Hills. Her Majesty's Most Honourable Privy Council, usually known simply as the Privy Council of the United Kingdom or just the Privy Council, is a formal body of advisers to the Sovereign of the United Kingdom. Its membership mainly comprises senior politicians, who are current or former members of either the House of Commons or the House of Lords. He was one of the founders of the Royal Bank of Scotland in 1727, and acted as the bank's first governor. His portrait has appeared on the front of all Royal Bank of Scotland banknotes, and as a watermark on the notes, since they were redesigned in 1987. The portrait is based on a painting by Allan Ramsay, in the Scottish National Portrait Gallery. He succeeded his brother to the title of Duke of Argyll in October 1743. He worked on Inveraray Castle, his brother's estate, which was finished in the 1750s; however, he never lived in it, and he died in 1761. He is buried at Kilmun Parish Church. He was married to Anne Whitfield about 1712, but had no legitimate male issue at his death. In his will, he left his English property to his mistress Ann (née Shireburn) Williams. His titles passed to his cousin, the son of his father's brother John Campbell of Mamore. The Duke established an estate at Whitton Park, Whitton in Middlesex in 1722 on land that had been enclosed some years earlier from Hounslow Heath. The Duke was an enthusiastic gardener and he imported large numbers of exotic species of plants and trees for his estate. He was nicknamed the 'Treemonger' by Horace Walpole. On his death, many of these, including mature trees, were moved by his nephew, the third Earl of Bute, to the Princess of Wales' new garden at Kew. This later became Kew Gardens and some of the Duke's trees are still to be seen there to this day. The Duke of Argyll's Tea Tree is an imported shrub named after him which has become established in hedgerows in some parts of England. ↑ Shin Matsuzono, "'Attaque and Break Through a Phalanx of Corruption . . . the Court Party!' The Scottish Representative Peers' Election and the Opposition, 1733-5: Three New Division Lists of the House of Lords of 1735," Parliamentary History (2012) 31#3 pp 332-353. 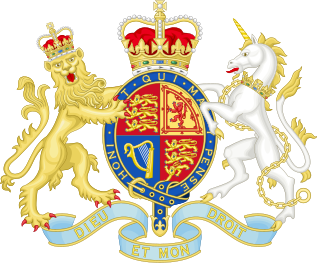 Marquess of Aberdeen and Temair, in the County of Aberdeen, in the County of Meath and in the County of Argyll, is a title in the Peerage of the United Kingdom. It was created on 4 January 1916 for John Hamilton-Gordon, 7th Earl of Aberdeen. John Stuart, 3rd Earl of Bute, was a British nobleman who served as Prime Minister of Great Britain from 1762 to 1763 under George III. He was arguably the last important favourite in British politics. He was the first Prime Minister from Scotland following the Acts of Union in 1707 and the first Tory to have held the post. He was also elected as the first President of the Society of Antiquaries of Scotland when it was founded in 1780. 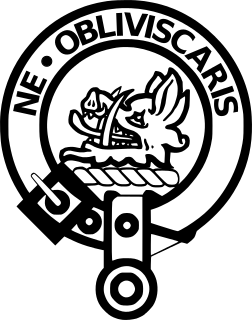 Clan Campbell is a Highland Scottish clan. Historically one of the largest and most powerful of the Highland clans, their lands were in Argyll and the chief of the clan became the Earl and later Duke of Argyll. Duke of Argyll is a title, created in the Peerage of Scotland in 1701 and in the Peerage of the United Kingdom in 1892. The Earls, Marquesses, and Dukes of Argyll were for several centuries among the most powerful noble families in Scotland. As such, they played a major role in Scottish history throughout the 16th, 17th, and 18th centuries. The Duke of Argyll also holds the hereditary titles of chief of Clan Campbell and Master of the Household of Scotland. Archibald Campbell, 5th Earl of Argyll was a Scottish nobleman, peer, and politician. He was one of the leading figures in the politics of Scotland during the reign of Mary, Queen of Scots, and the early part of that of James VI. Archibald Campbell, 1st Duke of Argyll, 10th Earl of Argyll was a Scottish peer. Earl of Breadalbane and Holland is a title in the Peerage of Scotland. It was created in 1681 for Sir John Campbell, 5th Baronet, of Glenorchy, who had previously been deprived of the title Earl of Caithness. He, as a principal creditor, had "acquired" the estates of George Sinclair, 6th Earl of Caithness who had died heavily in debt and without issue in 1670. Campbell was consequently created Earl of Caithness in 1673, but after much litigation and even bloodshed, George Sinclair of Keiss, second son of George, 5th Earl of Caithness, recovered the estates, and successfully petitioned parliament regarding the earldom, which was removed from Campbell. Sinclair's title was finally restored to him in 1681. Deprived by parliament of the Caithness earldom, Sir John Campbell was created Lord Glenorchy, Benederaloch, Ormelie and Weick, Viscount of Tay and Paintland, and Earl of Breadalbane and Holland on 13 August 1681, with the precedency of the former patent and with the power to nominate any of his sons by his first wife to succeed him. The titles were created with remainder to the heirs male of the son chosen to succeed him, failing which to the heirs male of his body, failing which to his own heirs male, failing which to his heirs whatsoever. The "of Holland" part of the title derived from the fact that Campbell was the husband of Lady Mary Rich, daughter of Henry Rich, 1st Earl of Holland. General John Campbell, 4th Duke of Argyll KT PC, was a British Army officer and Scottish Whig politician who sat in the House of Commons between 1713 and 1761. The office of Lord Clerk Register is the oldest surviving Great Officer of State in Scotland, with origins in the 13th century. Sir Ilay Campbell, Lord Succoth (1734–1823) was a Scottish advocate, judge and politician. Extraordinary Lords of Session were lay members of the Court of Session in Scotland from 1532 to 1762, and were part of the historical judiciary of Scotland. Banknotes of Scotland are the banknotes of the Pound Sterling that are issued by the Scottish banks and in circulation in Scotland. The issuing of banknotes by retail banks in Scotland is subject to the Bank Charter Act 1844, the Banknotes (Scotland) Act 1845, the Currency and Bank Notes Act 1928, and the Coinage Act 1971. Currently, three retail banks are allowed to print notes for circulation in Scotland: Bank of Scotland, Royal Bank of Scotland, and Clydesdale Bank. The Hon James Stuart-Mackenzie FRSE FSA was a Scottish politician and joint founder of the Royal Society of Edinburgh in 1783. The Lord of Kintyre is a title in the Peerage of Scotland for Kintyre, which was created in 1626. Sir Archibald Campbell of Succoth, Lord Succoth, 2nd Baronet was a Scottish advocate and judge. His country house was Garscube House, succeeding to the estate in 1823, upon his father's death. He rebuilt the house at Garscube in 1827, to a design by William Burn. He added Cumlodden, Blairwhoisk, Sommerson and Gartowhern to the family estate. Events from the year 1743 in Scotland. Events from the year 1761 in Scotland. Whitton Park was a country house in the village of Whitton in Twickenham, Middlesex. It was demolished in the 1840s and gradually replaced with housing. Events from the year 1682 in the Kingdom of Scotland. Emerson, Roger. An Enlightened Duke: The Life of Archibald Campbell (1682–1761), Earl of Ilay, 3rd Duke of Argyll, Perspectives: Scottish Studies of The Long Eighteenth Century Series. Kilkerran: Humming Earth, 2013. ISBN 978 1 84622 039 5 (paper); ISBN 978 1 84622 040 1 (hbk). Matsuzono, Shin. "'Attaque and Break Through a Phalanx of Corruption . . . the Court Party!' The Scottish Representative Peers' Election and the Opposition, 1733-5: Three New Division Lists of the House of Lords of 1735," Parliamentary History (2012) 31#3 pp 332–353. Sunter, Ronald. Patronage and Politics in Scotland, 1707–1832 (Edinburgh, 1986). Henderson, Thomas Finlayson (1886). "Campbell, Archibald (1682-1761)". In Stephen, Leslie. Dictionary of National Biography . 8. London: Smith, Elder & Co.
Royal Bank of Scotland banknotes Accessed 30 August 2006. "Archival material relating to Archibald Campbell, 3rd Duke of Argyll". UK National Archives.